The European Commission has forecast a slight increase in overall fresh produce consumption across the EU and predicted important changes in three of the continent's most important fresh produce categories – apples, peaches/nectarines and tomatoes – as part of a wide-ranging report on the European Union's agricultural outlook for 2018-2030. Published today, the report suggests that EU apple production should stabilise from this season's volume of 12.7m tonnes to around 12.4m tonnes in 2030, mainly as a result of a downturn in planted area combined with increasing yields. For peaches and nectarines, it also anticipates a reduction in production area across the EU, leading to a slight decline in production from 4.1m tonnesin 2018 to 4m tonnes in 2030. 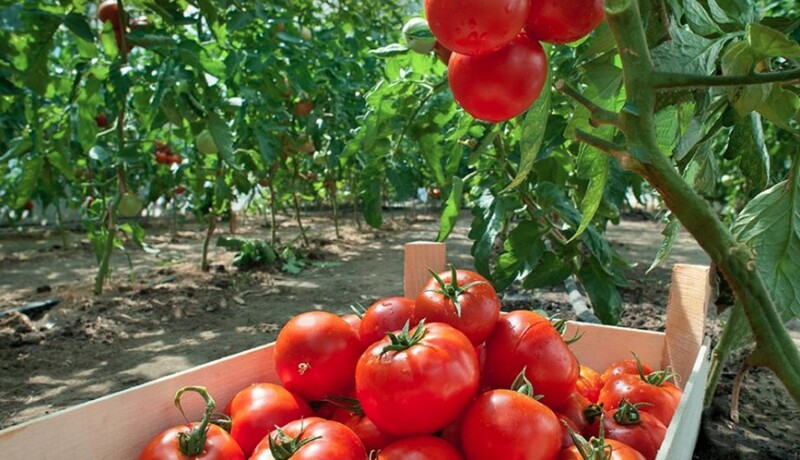 Fresh tomato production, meanwhile, is expected to remain largely stable despite a slight fall from 7m tonnes in 2018 to 6.8m tonnes in 2030 – despite longer seasons resulting in higher average yields. In addition, organic apple, peach and nectarine production is expected to expand significantly over the period covered thanks to growing consumer demand, the report said. More generally, the report provides a positive outlook for suppliers of fresh fruit and vegetables selling to EU markets. "Consumption of fruit and vegetables is expected to increase slightly in the coming decade, mainly driven by health motivations and the increasing availability of these products at ‘new’ marketplaces – for example at petrol stations, snack bars etc," the report stated. However, there was a stark warning for apple suppliers. "The consumption of fresh apples is not expected to follow this trend as consumers seem to favour new tastes and easy-to-eat products such as (pre-cut) tropical fruit or berries, which are regularly offered in supermarket shelves next to the more common apples." But the EC did recognise that apples remain the main fruit available in winter and as such would benefit from the development of new and higher-quality varieties. "After the last eight years, in which the consumption of fresh apples declined by 1 per cent per year, the consumption of apples is expected to remain stable at around 13.2kg per capita towards 2030." The publication also offered some commercial light at the end of the Russian ban tunnel. "In 2018/2019, EU exports of fresh apples should reach the same level of exports recorded before the Russian import ban," the report predicted. "The sector strove to find alternative markets after the introduction of the ban in 2014, partially compensating for the loss of the Russian market." The Russian market accounted for around 40 per cent of total EU apple export volume and 33 per cent of its value before the ban. "EU exports of fresh apples are expected to increase further (up 3.5 per cent per year up to 2030) thanks to new destinations and the assumed end of the Russian import ban after 2019. Imports will continue to decline at a slow pace - down 0.6 per cent per year up to 2030." For peaches and nectarines, some fundamental changes are expected, not least a restructuring of the sector particularly in Spain, where production recently rocketed, up 54 per cent between 2012 and 2017. "In order to respond to demand for improved varieties, orchards are being replaced," the report noted. "These varieties do not only respond better to consumer preferences in terms of quality but may also be more productive and better adapted to climate change. In addition, improved disease and pest resistance should also contribute to better economic results." On tomatoes, meanwhile, producers in the EU are apparently extending their production seasons in all regions as they try to command a broader share of the marketing season. "The traditional summer campaign in the northern producing countries is being extended to [autumn]," the report stated, "and the traditional winter campaign in the southern countries is being extended to spring." By contrast, it added, the increasing share of higher added-value types of tomatoes in total fresh tomato production was pushing down the average yield. "However, the impact of the extension of the production seasons might have a positive impact on the average yield." In terms of overall, headline conclusions, the EC's report identified so-called drivers that will influence the agricultural market over the next decade in the EU and beyond, taking into account the impact of consumer behaviours on those markets. "For instance," it said, "the consumer and citizen will become more conscious of their food, its sourcing, and its impact on the environment and climate change. "For producers this will result in higher production costs but will also be an opportunity to differentiate their products, adding value while reducing negative climatic and environmental impact. This will be reflected in alternative production systems, such as local, organic or other certified products being increasingly in demand." The report projects a decline of total agricultural land in the EU, though at a slower pace than in the past decade, from 178m ha in 2018 to 176m ha in 2030.